- that darned geranium again! 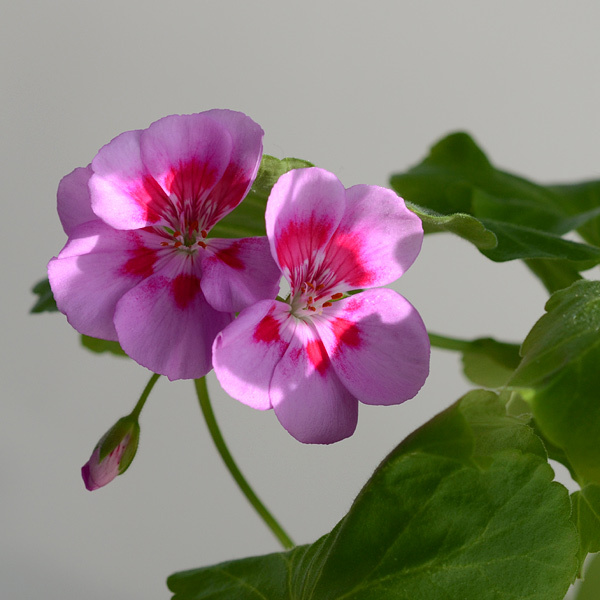 The first entire stalk of January geranium flowers is now gone - but on this plant there are three more stalks of glorious pink blossoms, and hidden beneath the leaves, there are more clusters of buds waiting to take their place. I predict that I will have geraniums in February as well. Life goes on. This one looks more blue? Different filter? Different light?